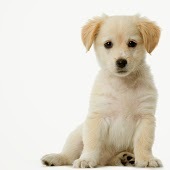 How Can I Go Carolina Pet Pantry? Where is Carolina Pet Pantry in Indian Trail on the Map? Had a totally FANTASTIC experience with this company! I found them through an internet search and took a chance to get some dog food that isn't stocked locally. I called with some questions, which the owner easily answered; she was also happy to discuss various concerns about pet foods and make some recommendations. I ordered on Friday afternoon for myself and a family member. I received a bag on Saturday (!!!) and he received a bag on Monday (!!). Wow, that is some fast service and shipping! Both bags had expiration dates more than a year in the future----sooo important when ordering dog food online. Healthy dog food with good expiration dates & knowledgeable, fast service. Can't be beat!! This business is the best. Love this place. They are nice and caring and truely care about your dog. I have been working with them to get the right food for my high allergy dog (she is allergic to air!) I can always call and ask a million questions, great source of information. They make sure to carry great healthy brands adn steer away from mass produced and made in chine etc foods. Great varriety of treats, animal parts, and pet lover items. I think their prices are very reasonable and low for being small buisness. I love their natural approach. Have been happily buying products for YEARS - this is a stellar business that always goes above and beyond to see to it their customers are satisfied but most importantly that their pets are satisfied - it is so much more than just a sale to them - they support buyers by being extremely knowledgeable and give first experiences about the products they sell. Because of the quality of merchandise, honest answers when seeking information about a product and top notch customer service - I have NEVER been dissatisfied. Keep up the good work - we'd be lost without you!!! This is the go to place for all your pet food and pet toys!!! I have sent many of my pet sitting clients to Carolina Pet Pantry because they really know the dog food business. I also buy my clients pets gifts there. 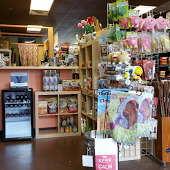 They have a great selection of toys and other dog related items. Go there and you will learn a lot of about the dog food they sell. Great customer service too. Go there regularly to purchase food for my bulldog. Great experience. Very knowledgeable staff. This business also helps to support a rescue for bulldogs! Bullies2theRescue.